Do you have a question or need help with your smartphone, tablet or computer? Then book in for a one-on-one session to get the assistance you need. We can assist with things such as browsing the internet, social media, sending photos, getting started with eBooks & e-audiobooks, setting up an email account, installing and using apps as well as learning more about your computer or device. These are informal sessions aimed at increasing your confidence in the use of computers and mobile technology. There are several different day and location options, please ask our staff or check for bookings online. Gold coin donation. Bookings essential, phone 8372 5100 or book online. Thankyou to all the people who keep logging into this blog. I hope you have a great Xmas and enjoy time with family and friends. The people in Fullarton, and especially those that live close to Fullarton Rd are very upset by the most recent zoning changes in their patch of Unley. As most of you are aware John Rau, the former Minister for Planning, wanted Unley to increase the areas that could be developed so as to enable Unley's population to grow. Fullarton Rd was one of the targeted areas and residents were notified by the council of potential changes to the zone. Very few residents responded and the zone was changed to allow for 2 to 5 storey development with apartments as small as 80 square metres (average). Now that developers have started to see the potential they are coming in conflict with residents expectations whenever a development application is lodged. Unfortunately, it is now too late if the development matches the plan. Nevertheless, developers often try to push the boundaries too far and it is at this time that residents may have a chance of stopping the development. Nevertheless, it is at the early zoning change level that this state government and the previous one want the discussion to occur. With the new city wide (Adelaide) devepment plan coming into operation in the middle of 2019 there may be little time for people to know, see and adjust to what might lie in store for their neighbourhood when the time comes. I've read with interest the information about heritage protection that The Advertiser have been doing this week. As most of you are awre Unley has buildings that are National, State and Local Heritage items as well as contributory buildings that are protected within an historic zone (Millswwod). Very little incentive is offered by Unley to support residents in the addiditional costs that they bear when their homes are heritage protected. You can see from the list below that Unley budgets for $50,000 per year to be distributed for heritage works. This is often over prescribed and covers only a small percentage of the proposed work. Council will be briefed on Monday about the proposed grandstand for Goodwood Oval. This will include a background for new councillors and a summary of feedback from the Open Day held late last month. The design of this has also been the subject of consultation for development approval. This briefing will be open to the public. The location is the bar area at the Civic Centre at 6:30pm. You won't be allowed to contribute but the information should be well worth listening to. Petition regarding jacaranda trees in Macklin Ave, Hyde Park: residents are unhappy with the nuisance that their street trees are causing. Traffic Management Infrastructure: On resident is particularly concerned about the addition traffic management devices near Goodwood Primary School. She will also draw councils attention to other devices that she feels to be intrusive. Welcoming Cities: this is a new initiative that will build on council's established reputation of being welcome to new residents and visitors. Management of Weeds: I have put a Motion on Notice, in response to resident concerns, about council use of glyphosate for weed killing. I hope to get council support for the staff to investigate and trial other options. Future Tree Strategy; Cr Palmer has as for council to bring forward the revising of the current plan as the existing 2016-19 plan is already outdated. in particular he and I are concerned about just how difficult it is to remove a healthy tree that is a nuisance. Call to change the voting system! An article in the paper earlier this week talked about just how few votes it can take to get elected. It even discussed the 2 seats in the recent Unley election where candidates were elected unopposed. Generally there is a perception that people are elected unopposed because the electorate sees the incumbents as doing a good job and they see no need to change what is working well. The Advertiser did not afford them this honour. More to the point when there are multiple candidates it is possible to get elected with far less than a quota (if 2 to be elected, one third of the formal vote plus one). At the most recent election in Unley the lowest vote to get elected was just over 200 votes (Parkside). It seems in some councils people have been elected with as few as 11 votes. While this is almost certainly well under quota the individual may have had number 2 preferences from someone who had gone well over quota. The count works the same as the Senate and Legislative Council where some senators have been elected with 200 votes as well. It generally works well in local government. Those letters the kids write to Santa? Well here is what you can do with them!! We are really lucky to have had Santa's elves deliver a beautiful, red post box to our library! Here you can post a letter to Santa, using a supplied letter template and addressed envelope. Post it in the post box and we'll make sure that Santa gets them. To get your personalised reply, visit the library during opening hours Monday 16 December - Friday 21 December. Is there a Dad in your life? 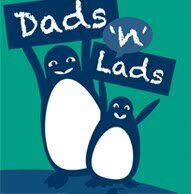 Flinders University is conducting a survey asking about the physical activity dads do with their children and what physical activity programs they would like to participate in around the Unley Council area. The survey should take no more than 15 minutes to complete and it completely anonymous and no identifying information is sought. The information will be accessible to the City of Unley to inform our strategies going forward.